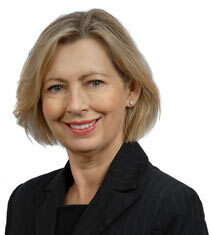 We opened our Singapore office in 1999 and it has been managed by Lynne Geeves since 2002. Together with her team of multi-lingual staff, she works closely with our London offices to provide a seamless property leasing and management service to Singapore-based clients with London investment properties. This ranges from organising a snagging and handover service for new-build properties, to arranging furnishing packages, sourcing fully referenced tenants and ongoing property management. Accounts and management queries can be addressed in our client’s time zone by their personal, local property manager, without the need to make expensive overseas calls. We focus entirely on lettings, however, if our clients are looking to buy, we can advise them on the type of property they should look for and rent yield estimations. By providing this valuable advice from the outset, we’re able to save our clients’ time and money. To provide you with current insights into the London property market, our Directors visit all our overseas offices on a regular basis to meet with clients. If you live in Singapore and have a property in London that you would like to let, please get in touch. Lynne has lived in Singapore since 1998 and is a qualified property agent and estate agency manager with Singapore Council of Estate Agents qualifications. As Director of the Singapore office, she liaises between Singaporean clients and our 16 London offices to provide a professional and efficient property management service. As a London property owner herself, Lynne understands the needs of landlords and her wealth of experience is invaluable in helping clients achieve their long-term investment goals. As Client Manager, Kevin liaises with Singaporean investors, keeping them informed of day-to-day issues regarding the leasing and management of their London properties. He is in daily contact with our London property management department to discuss all aspects of property leasing on behalf of his Singapore clients, from organising the handover of a property to co-ordinating UK tax registration on their behalf. 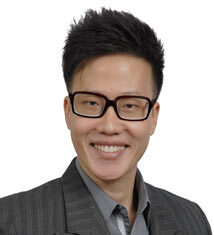 Kevin holds Singapore Council of Estate Agents qualifications and is fluent in Mandarin and English. Mary Ann provides administrative support to the Singapore team in what is a very busy and varied role. With several years’ previous experience as an Office Manager, her approach is organised and methodical, ensuring that clients’ requests are met efficiently and promptly. Liaising with clients is one of the aspects of Mary Ann’s role that she finds most rewarding and being able to speak to them in her own dialect of Tagalog as well as in English is extremely useful. 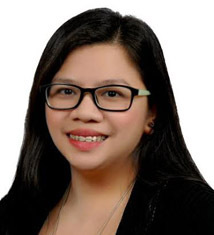 Doris is a highly experienced property consultant specialising in marketing international residential property to investors in the Asia Pacific and South East Asia regions. With over 20 years’ experience working in international investment consultancy, Doris has built up a wealth of knowledge and success at helping investors buy, let and manage their properties for long-term income and growth. Having formerly worked in senior positons within the property industry, namely Strawberry Star and JLL, Doris is well-known and respected throughout the industry. The main focus of her role with Benham and Reeves is business development within the sales division, specifically helping Singapore investors who wish to expand their London property portfolios.